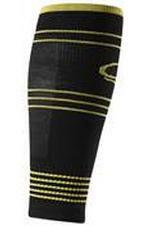 Subscribe to Kiwi Trail Runner Magazine for 12 months and receive Icebreaker Adult Calf Sleeves, valued at $29.95! Offer expires 02.06.2019. Available to NZ residents only. Offer applies to 12-month subscriptions only. The gift will be sent to the recipient, while stocks last. Trail Runner NZ & Aus formerly Kiwi Trail Runner is loaded with 'real' experience and connects readers with not only fellow runners and adventurers but also with New Zealand's and Australia's stunning landscapes. Even the most ardent couch-dwellers have picked up Trail Runner and said it has inspired them to head outside and run in terrain that is among the most spectacular on earth. This magazine will appeal to anyone who wants to feel part of a community of people who love running, the outdoors and the camaraderie that comes with having a shared purpose. The photography and design are world class, the features are relevant to beginners as well as experts and Trail Runner has quickly become a must read for anyone who likes running off-road, or running anywhere at all.